What Exactly Causes The 51330 Wii Error? Do not worry, I will show you show to check for these problems and make sure they are configured properly so we can get rid of the Wii 51330 error completely. 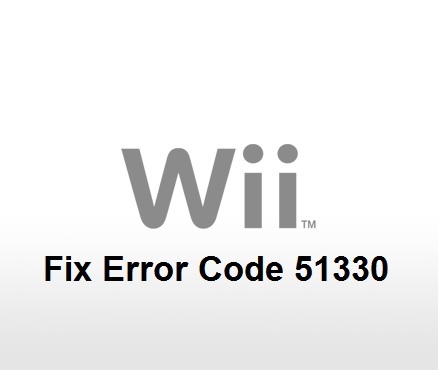 There are a bunch of fixes you should try first when troubleshooting the Wii code 51330. I will explian them in order as they appear in the causes list above. Most routers come with a default password which can be found written somewhere on the body of the router. Some people may decide to change this password, especially if the router is for personal use, but many people (usually big families) leave it as the default so other family members can find it easily. The default router password is mostly found on a sticker on the bottom of the router. If you cannot find your router password on the body of your router, then you can access it by going into your router settings. Type in your username. The default is admin (if you have not changed it). Type in your password. The default is password (if you have not changed it). On the left menu panel, under Setup, click on Wireless Settings. In the Wireless Settings window, under Security Options, make sure WEP is selected (if you must use WPA-PSK, make sure you know how to configure it correctly). Now look under the Security Encryption (WEP) Key area, you would notice your WEP key displayed in one of the fields (the selected one). Note that this key is case sensitive. If you do not know what you are doing, don’t try to configure the Block services setting on your router as a simple mistake could block you from accessing the internet and produce the Wii error 51330. If the block setting is enabled, try disabling it to see if it fixes your problem. Check your router settings for MAC Filtering / Blocking, if it is turned on, make sure the MAC address of your system is in the allowed list, otherwise disable the setting completely. Unplug the router and modem from the power socket and leave them unplugged for about 5 minutes. Now try to connect your Nintendo Wii again to see if the 51330 error is gone. It is also a good idea to try connecting your other Nintendo devices to see if they respond. To change your router’s broadcast channel (on Netgear), navigate to Wireless Settings (found under Setup on the left menu). Then look under the Wireless Network area to find Channel. You would notice that this is set to 6 by default, try changing it to 1 or 11. Try setting your IP addresses manually from your router settings. It is possible that the automatically assigned one may overlap with another address. Configure IP addresses from command prompt. Launch command prompt, then type IPCONFIG /ALL (press enter). Then type EXIT (press enter). Change browser mode from G to Mixed. Update your router firmware (if it is outdated). If these above other methods do not fix your Wii error code 51330, it is a good idea to change it back to what it used to be so things do not get complicated. I fixed this after trying everything I read including this. I have an old wii, and I recently changed my router to channel 11. Turned it back to channel 6, and viola!